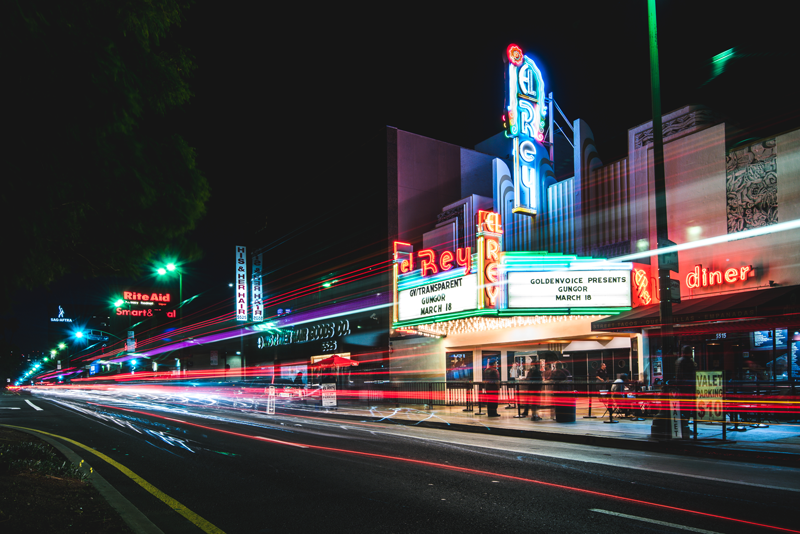 The El Rey Theatre is an original art deco theatre in the heart of the Miracle Mile, one of Los Angeles' preserved art deco disticts. 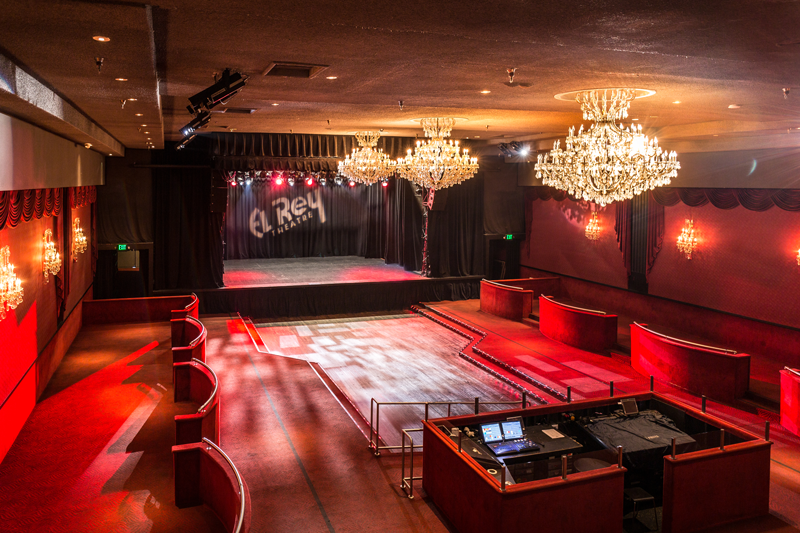 The El Rey was built in 1936 and designed by Clifford Balch. 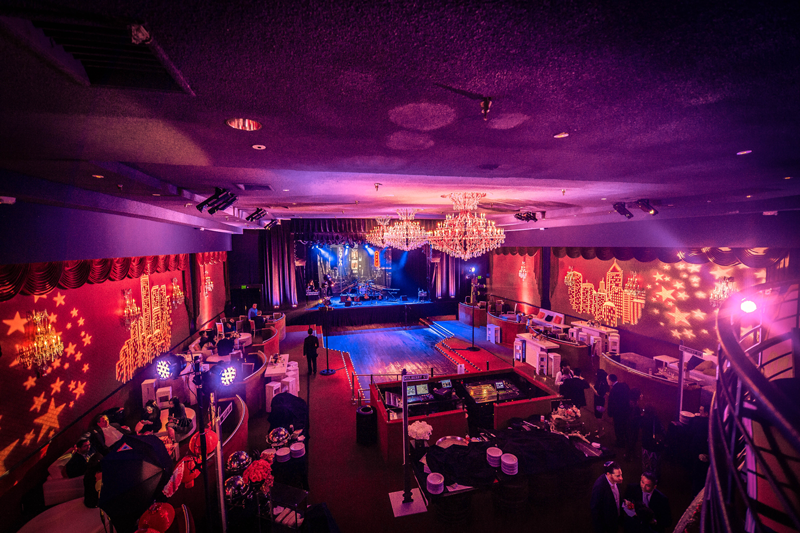 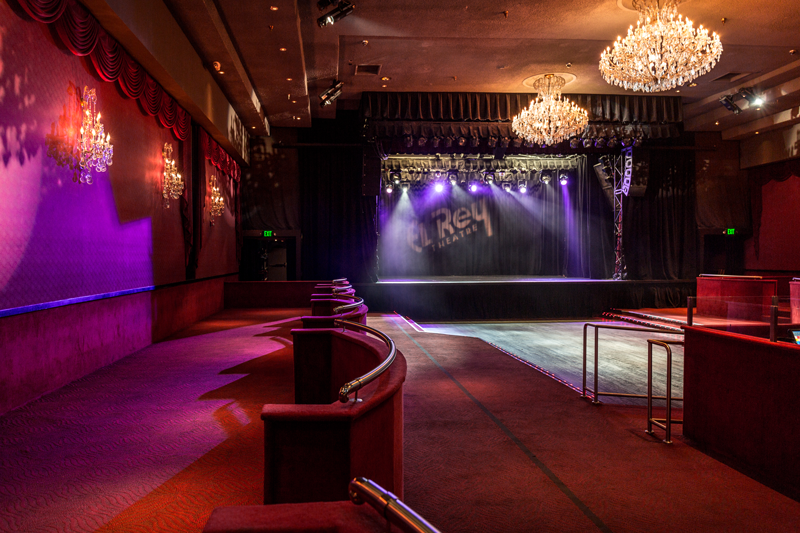 After more than 50 years as a first-class movie house, the El Rey was converted into a live music venue in 1994. 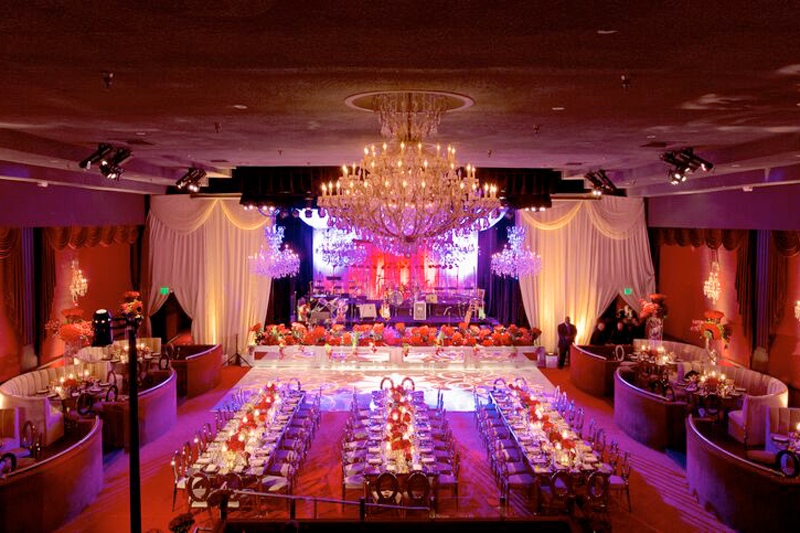 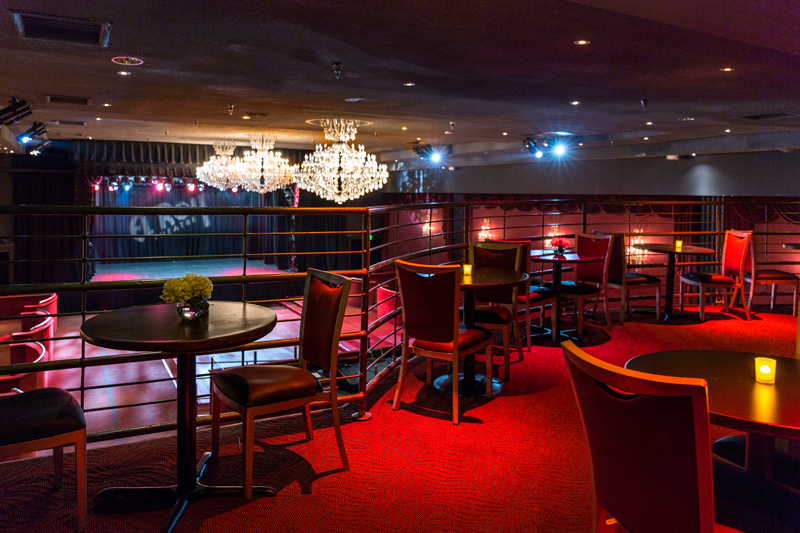 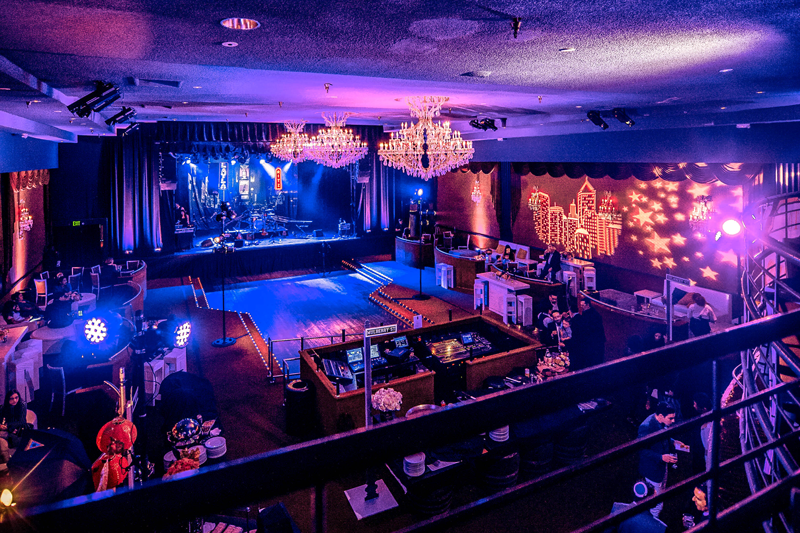 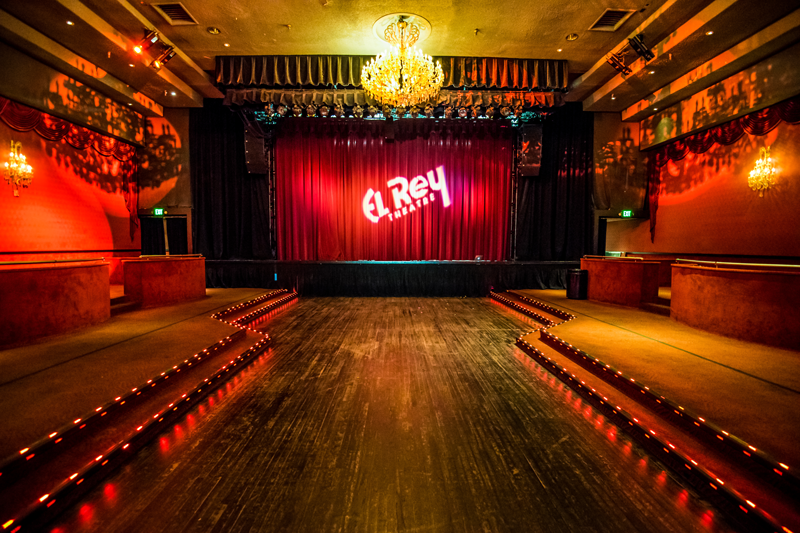 A registered Historic-Cultural Monument, the El Rey has sweeping staircases, VIP balcony lounge, and a grand ballroom equipped with a full stage.